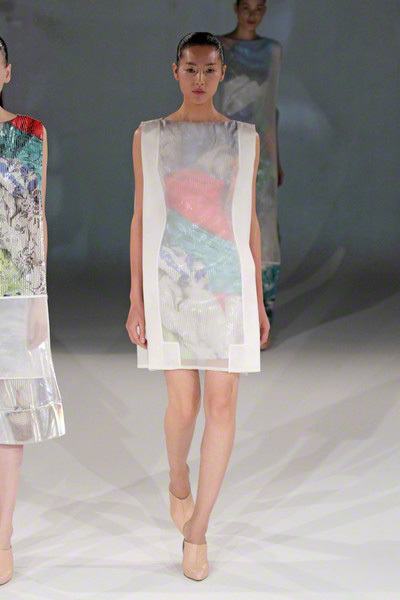 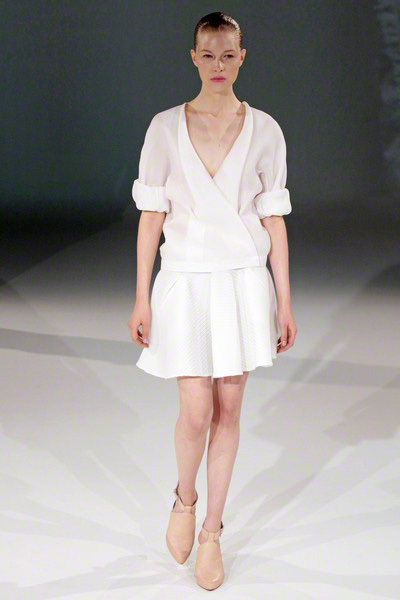 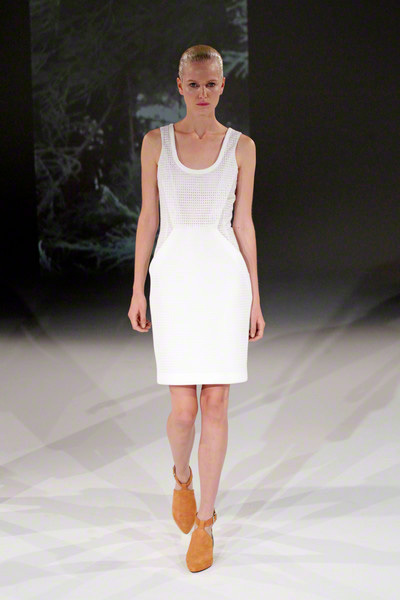 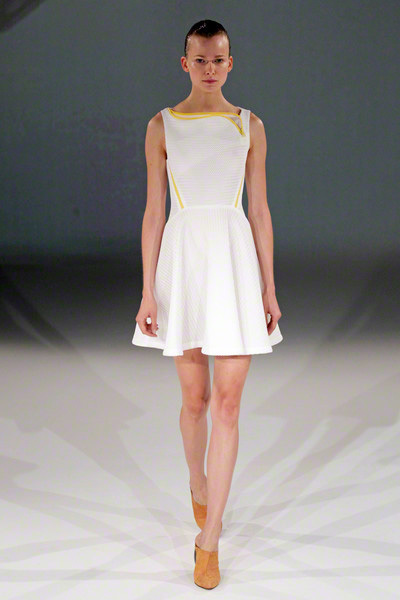 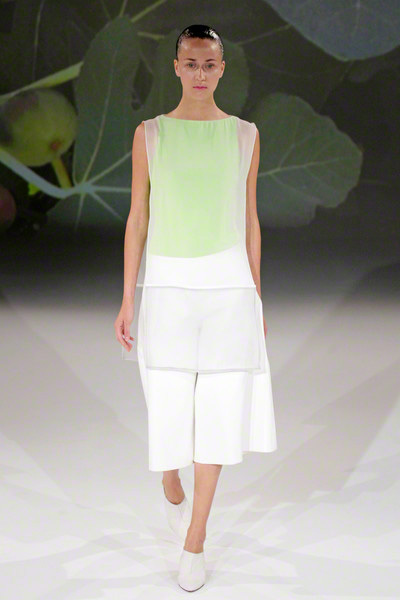 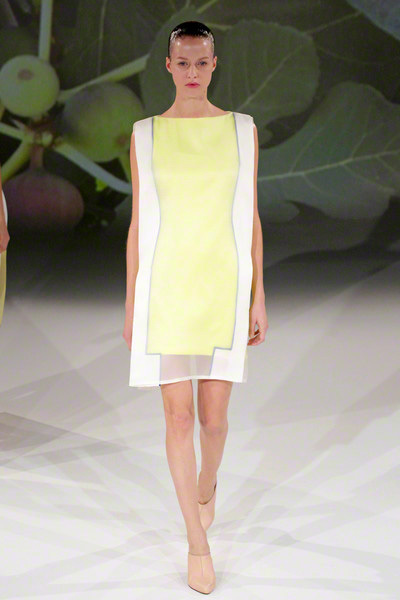 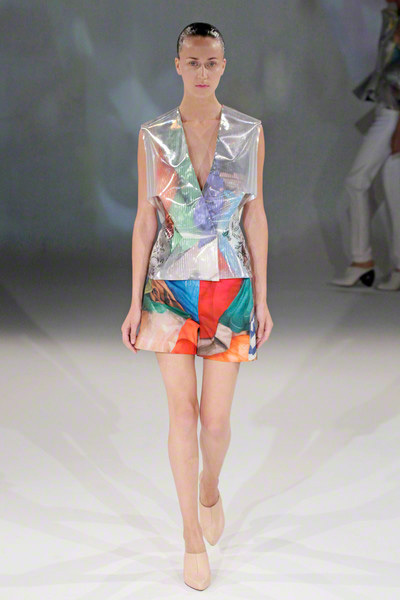 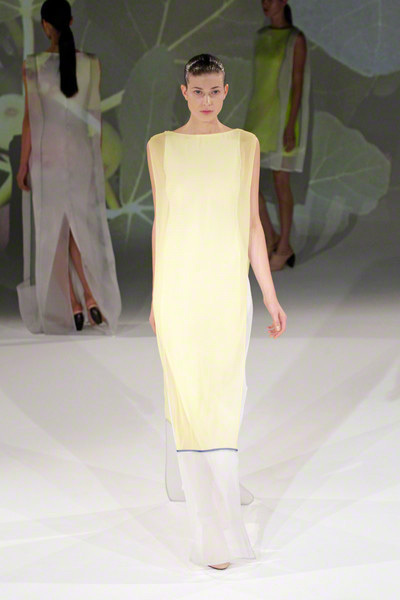 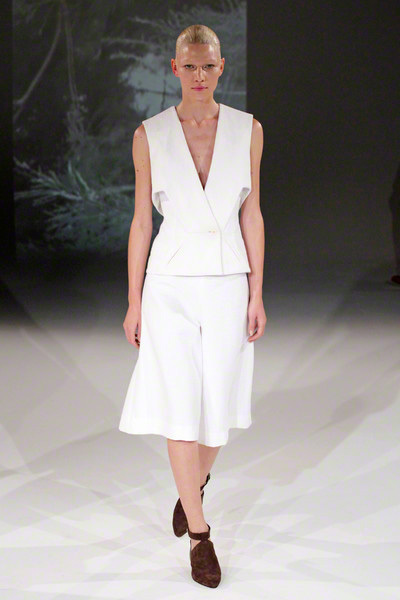 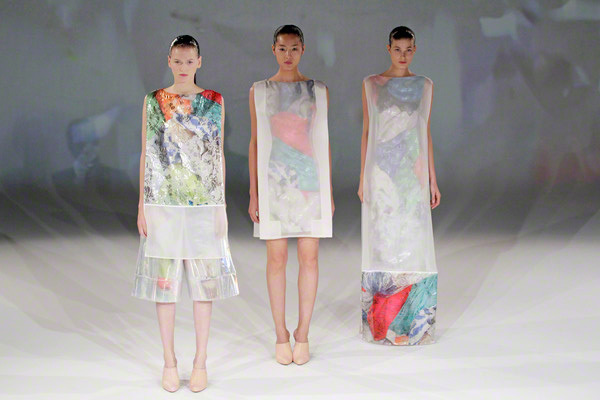 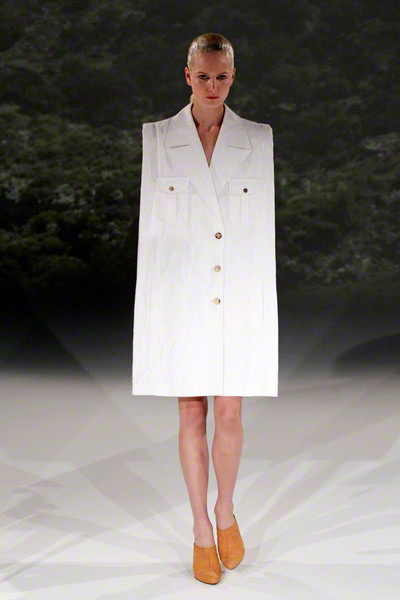 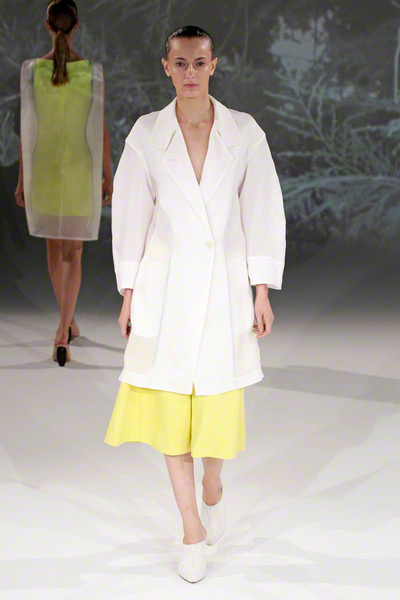 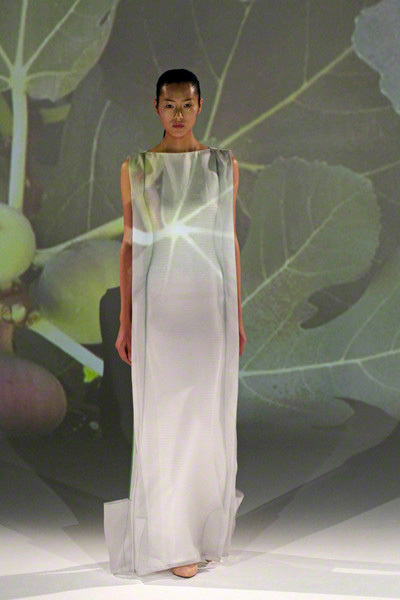 We got quite a feeling of optimism through Chalayan’s spring/summer show. 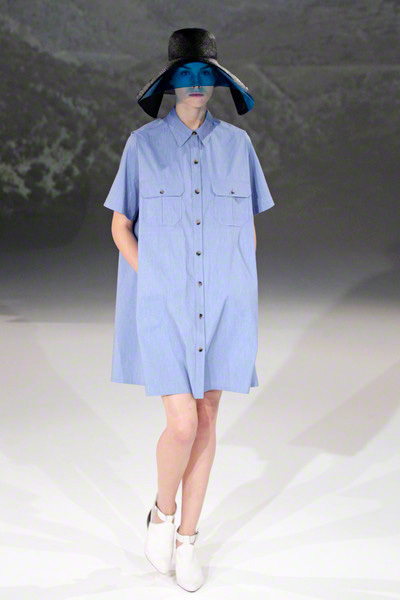 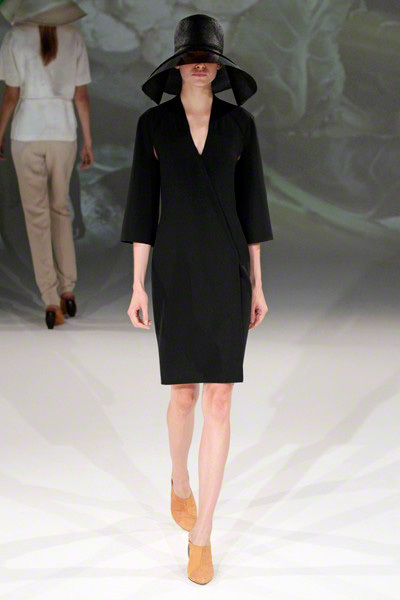 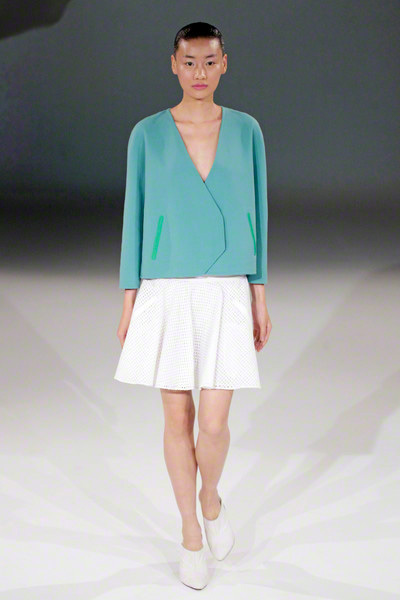 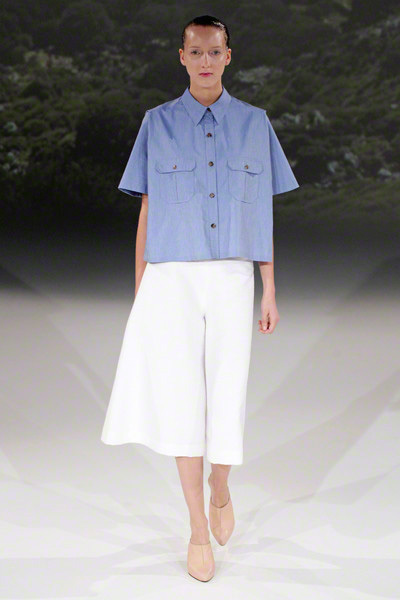 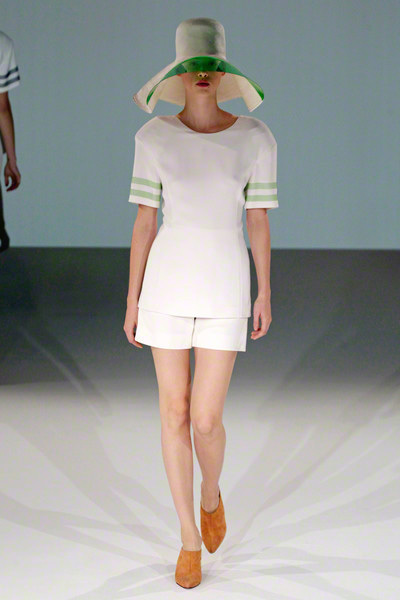 He presented a very light collection of clean, boxy designs. 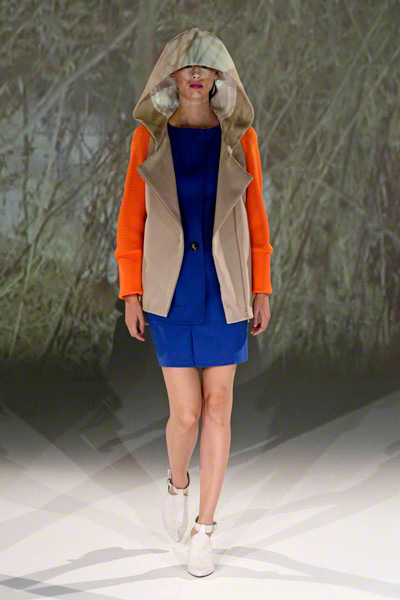 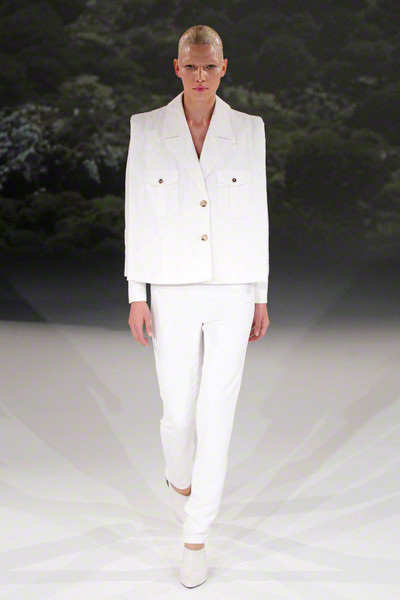 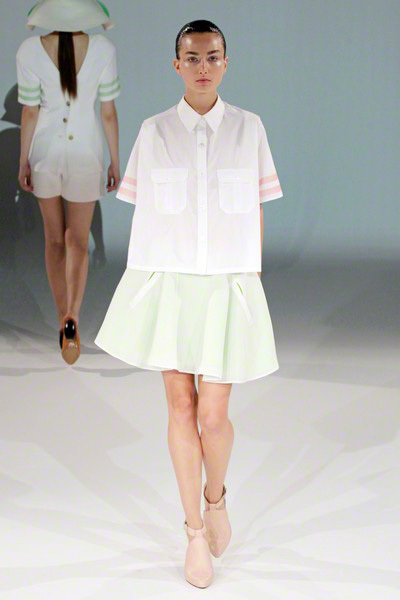 Models sported boxy blouses, dresses and jackets worn with small pants or bare legs to keep them slightly feminine. 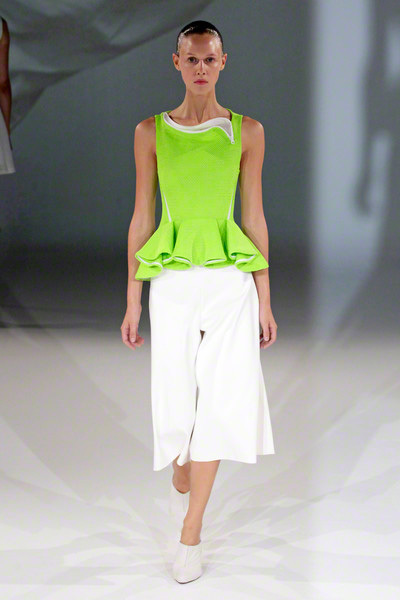 If Chalayan accentuated the waist, some other part of his creation had to be structured, so playful skirts were mixed with puffy tops. 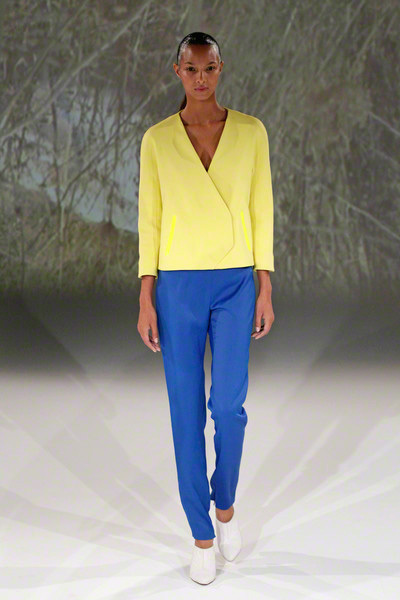 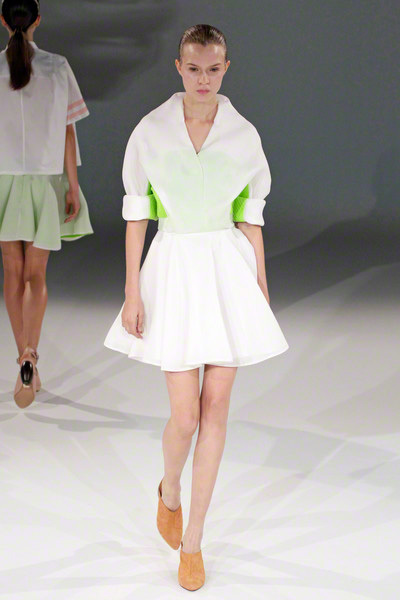 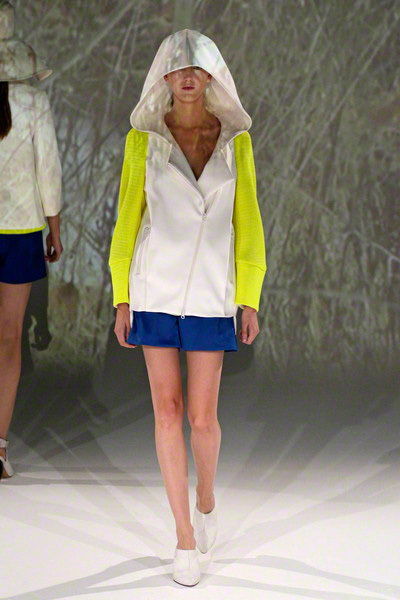 Combined with bright green, yellow, orange and blue all the white felt even more fresh. 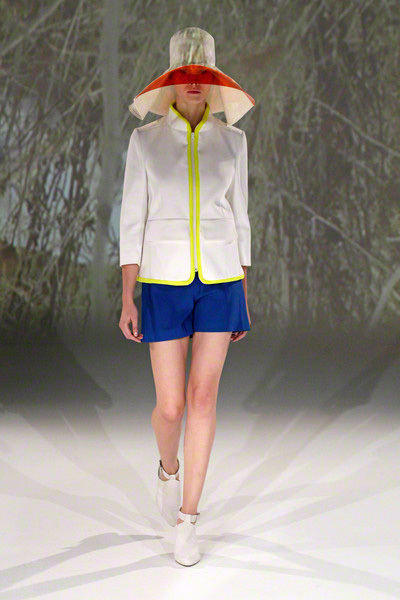 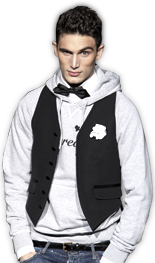 Used on mesh fabrics and jersey inspired materials looks got a sportive touch as well. 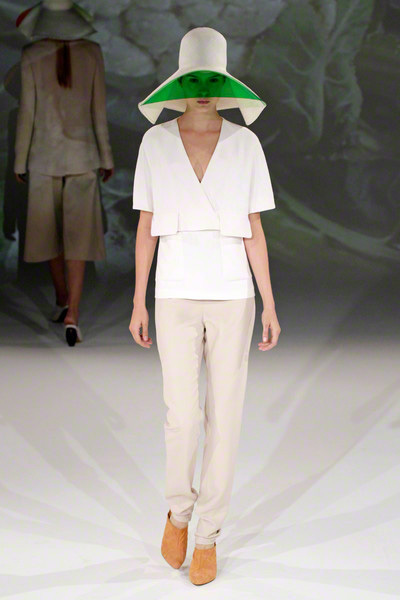 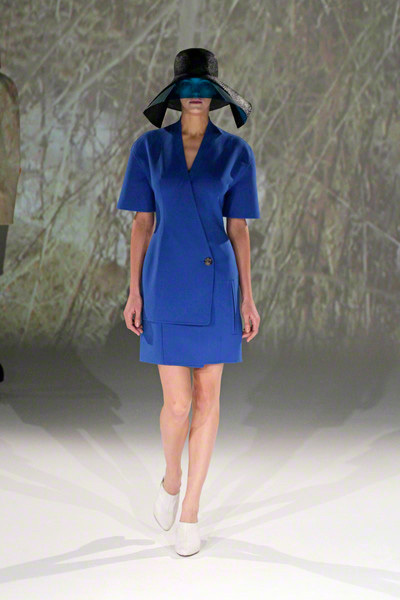 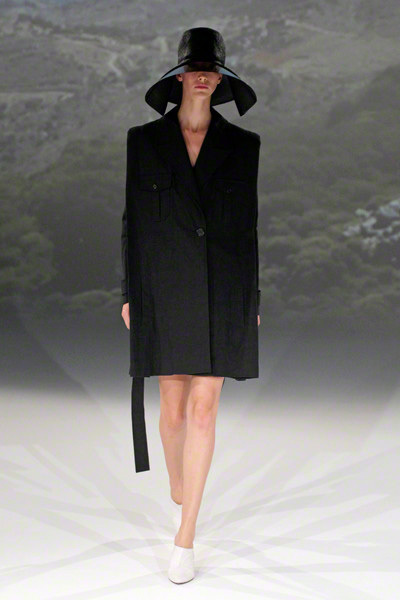 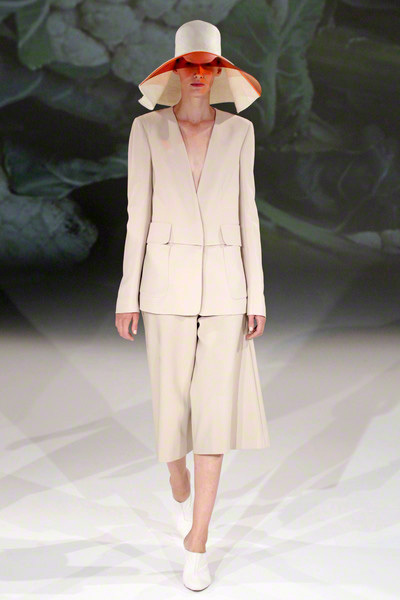 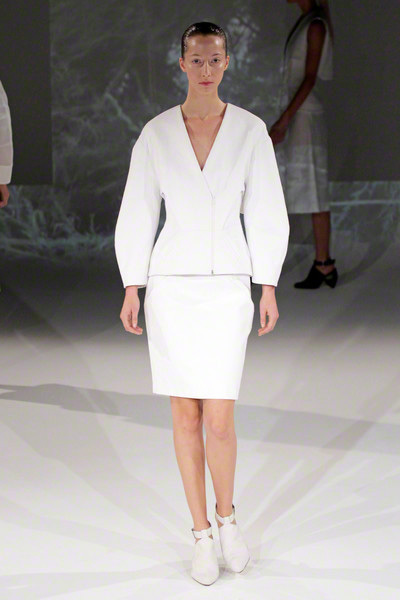 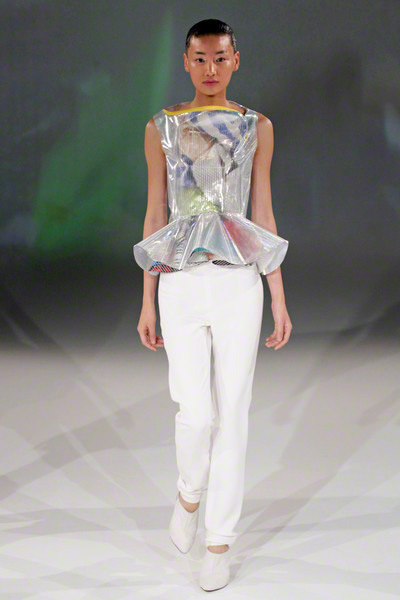 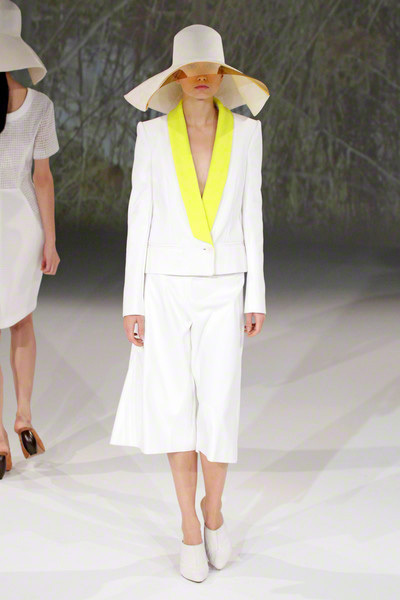 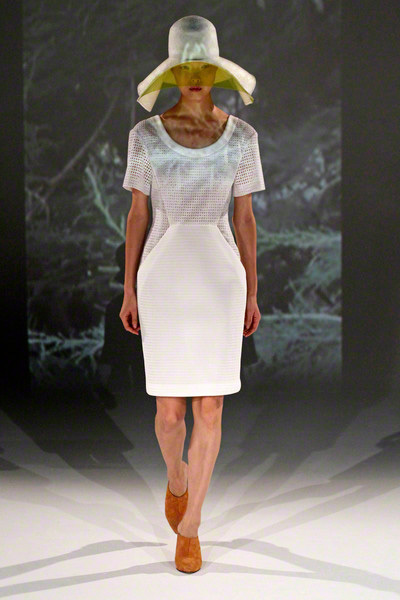 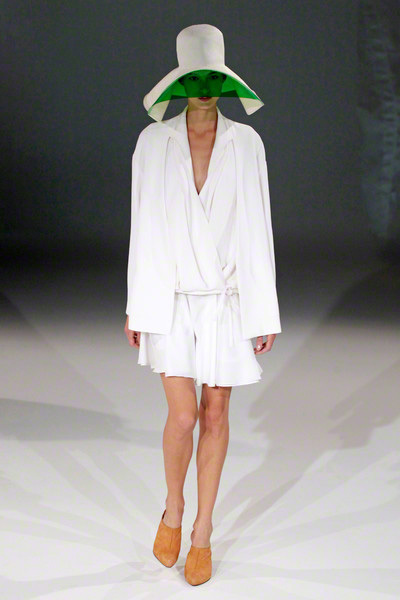 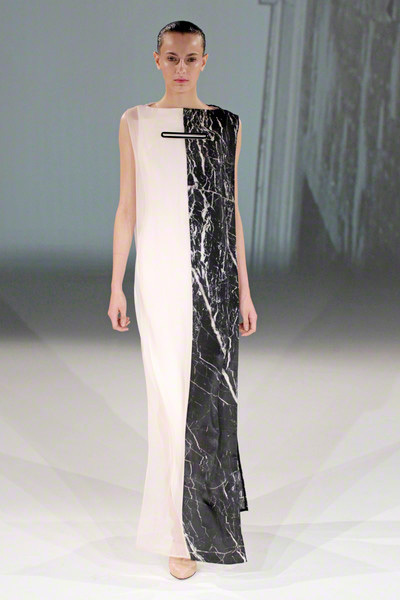 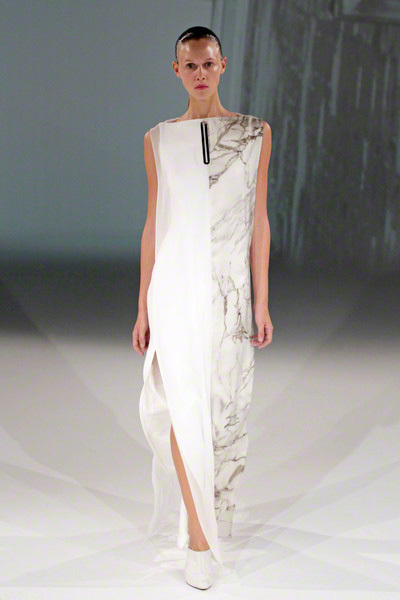 Never one to leave out the headgear Chalayan came up with some extraordinary pieces again. 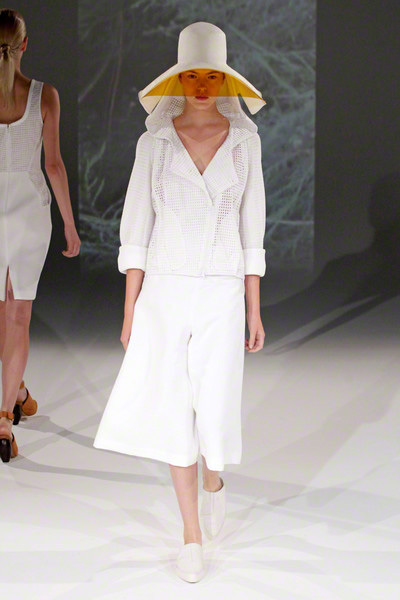 His signature floppy hats were given a sun cap and turned into true summer proof statement pieces. 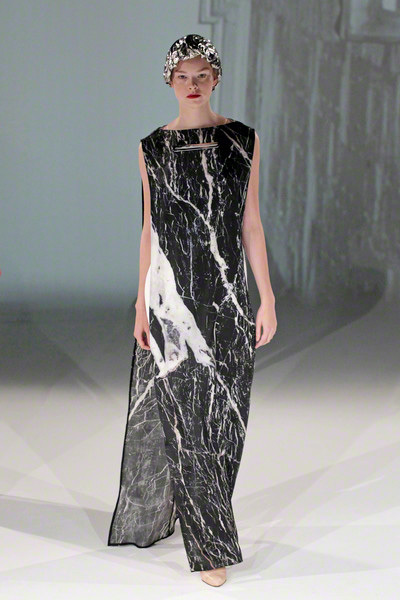 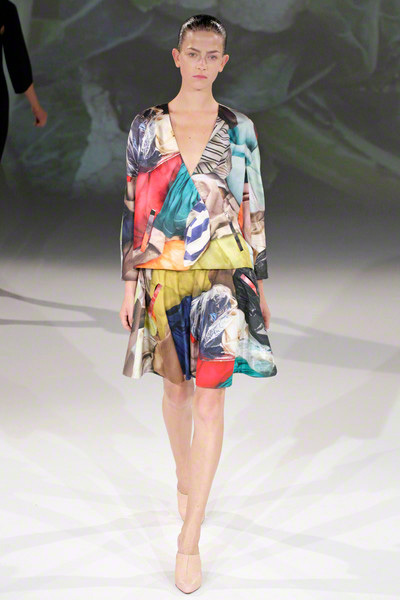 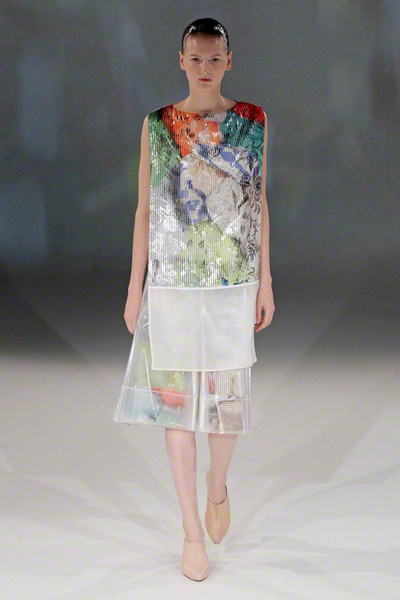 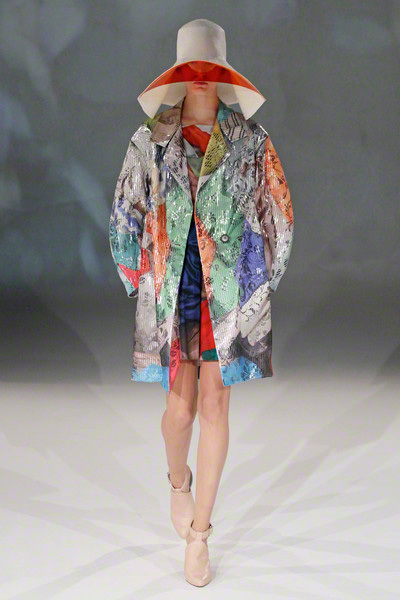 A selection of colourful printed designs (a print that featured piles of Chalayan’s own clothes) and two black and white evening dresses closed the show. 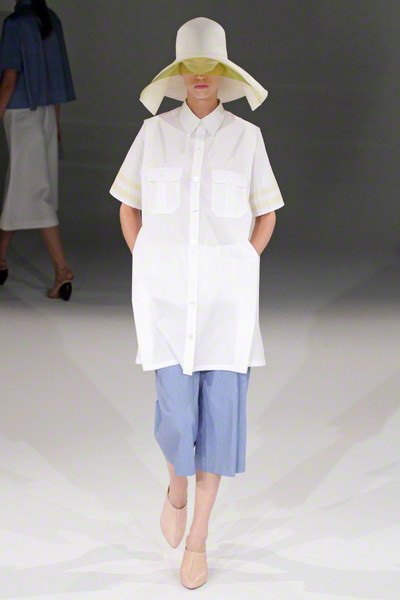 Yes, there were some quirky twists, but the designer perfectly managed to bring them all together in a crispy selection of pretty wearable designs.